United Signs is your full service Norcross GA sign company offering businesses custom sign design, fabrication and installation. From the design phase to fabrication and installation, we can handle any sign or branding project throughout Norcross GA and Metro Atlanta. We work with our clients to be able to put together the best signage package possible, focusing on key factors like materials, style, industry trends and standards, budget and more. If you’re a brand new company just starting out, or an established business in your area, we can help with all your signage. Our team serves Norcross GA businesses across all fields. Each businesses has different signage needs, but they all need to establish a presence if they are going to thrive in a suburb like Norcross. These communities thrive on local enterprises and with our assistance, your business can become the first choice for any customer seeking your services. 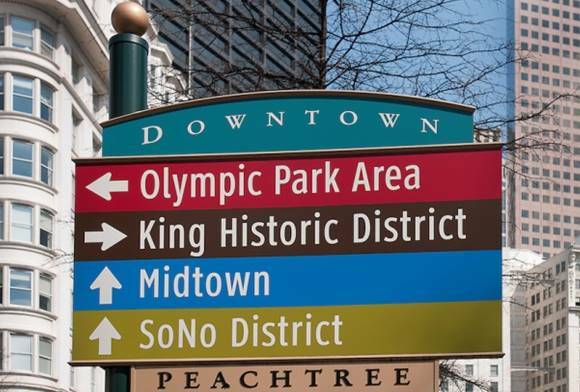 United Signs is located in Norcross and has served the surrounding cities, including many metro Atlanta areas since 1981. Like MOST local sign companies, We NEVER outsource anything! We quote the project, we build the project, we install the project and we maintain the project. Our customer satisfaction is #1 in Atlanta! If you’re looking for professional and fast signs that are affordable, let us give you a no obligation quote. Financial Signs: We pride ourselves on creating the absolute best signage for banks & other financial institutions. It’s one of our core competencies. We provide the highest quality financial signage in the industry. We take the lead throughout the process of a re-brand or refresh. Restaurant Signs: Our restaurant signs help your establishment stand out from the competition. Small Business Signs: Our State-of-the-Art technology ensures the highest quality and the quickest turnaround in the industry. You need a sign “Fast”, you might want to consider contacting United Signs. Church Signs: United Signs makes and manufactures church signs of all types. School Signs: Our signage adds prestige and style to academic buildings. Dealership Signs: We have years of experience designing dealership signs for businesses across the Southeast. Multi-family and Apartment Signs: We fabricate all of our signage in-house. There is NO middleman to contend with. We you work with United Signs you work with the best. Hotel Signs: Our commercial signage operation is equipped to produce both digital and traditional hotel signage. Residential Signs: Our developer & management clients rely on our expertise to navigate local zoning as well as highlighting what signage will work best with their project. Bar Signs: Guarantee a navigable establishment with bar signs from United Signs. Retail Signs: We manufacture retail signs for both interior and exterior use. 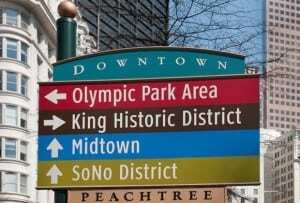 Want To Learn More About Norcross Signs? Contact United Signs, the Southeast’s channel letters experts. Fill out our no-obligation quote form to receive your FREE estimate, or call us with your channel letters signs requirements today at 678-203-6044.